WE SAVE YOU TIME, SO YOU CAN DO MORE PROJECTS EACH YEAR. Build Quality. Build Value. Build GEM. We believe in approaching projects with a different mentality. A true Design-Build philosophy is what helps us move up delivery schedules and build great buildings. Our integrated system brings many of the early critical path milestones together under one roof. Designing a project while simultaneously procuring the materials will save weeks of time. Having fabrication under our control allows for schedule optimization. Sourcing and resourcing from all parts of the continent allows for extreme flexibility. Our integrated system brings many of the early critical path milestones together under one roof. Designing a project while simultaneously procuring the materials will save weeks of time. Having fabrication under our control allows for schedule optimization. Sourcing and resourcing from all parts of the continent allows for extreme flexibility. 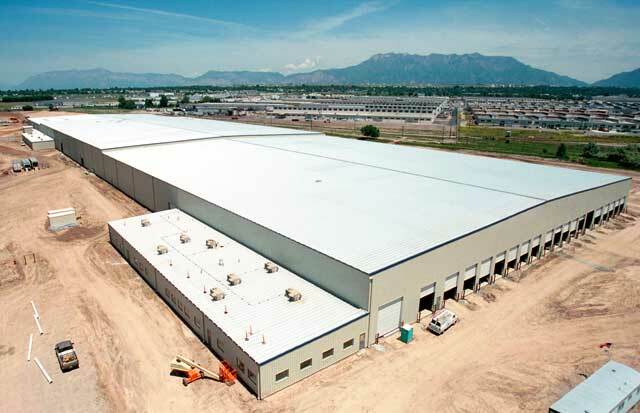 GEM Buildings has proven experience on projects ranging from 1,000 square feet to 2 million square feet. Our buildings speak loudly to the diverse range of projects we are able to perform. According to the requirements you set on each individual project, we blend conventional structural materials, wide flange, tube, open web members, tapered rigid frames, cold-formed members and a variety of other materials to produce a uniquely engineered package. From the moment you begin working with our team, you will understand why we call our process a true Design-Build experience. Our in-house professional services include a complete range of consulting, design, engineering, estimating and fabrication. This facilitates successful projects and eliminates the complex web of suppliers and vendors. Using our single-source approach means project specifications are defined early and properly understood from the beginning. When choosing the Design-Build method, the owner places project responsibility and control under a single contract with one team - the "sole responsibility" concept. The Design-Build contractor assumes responsibility for all phases of the project, rather than dividing it between engineers, designers and subcontractors. This eliminates the need to hire, schedule and supervise the architect/engineer, subcontractors and suppliers as well as limit unexpected scheduling problems and cost overages. The owner is always a member of the Design-Build team, and can rely upon a single source of professional construction management to insure that project specifications are met on-time and on-budget. 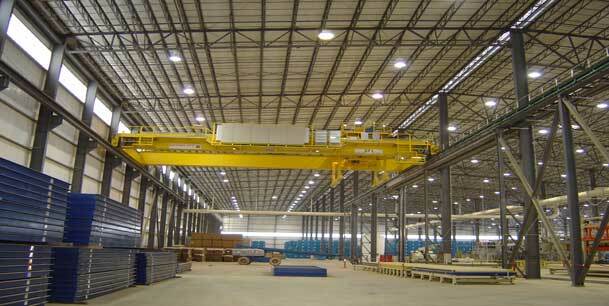 For projects that are already designed, GEM offers a package of steel detailing and fabrication. Because GEM buys directly from steel mills and joist and deck manufacturers, there are no extra mark-ups. The “Build Different” philosophy insures proper coordination between the various Division 5 categories and eliminates the ever too common communication issues insuring that your project moves forward in a timely manner. GEM maintains an extensive and ongoing quality assurance program for continuous quality production. Where possible we want to make sure we provide the best value for every dollar the client spends. As a result there are times when we can take existing plans and re-examine them to Value Engineer the project. This close inspection allows for an in depth look at their project. Safety and quality are not compromised, but often, examining a different way of building the project is worth the effort. By concentrating on Value Engineering and taking into consideration the availability of steel, the joist and girder factors and the pre-engineered metal building factors, GEM is able to engineer a unique building system to the client that has the most cost effective measures factored into the project.